Australian beds are sold in metric measurements usually being specified in centimetres, despite this the widths and lengths tend to correspond to round numbers in the old imperial measurements (feet and inches) rather than being sold to the nearest five or ten centimetres as is the case in Continental Europe and Mexico. There are two commonly found variant sizes, the Single Extra Long 0.92m x 2.03m (3' x 6'8") and the King Single 1.06m x 2.03m (3'6" x 6'8"). Extra long double beds are generally only available as Queen and King size. Queen beds in Australia are almost invariably found in the standard size. 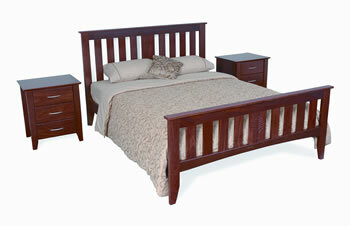 As with the Queen size, Australian King size beds are very rarely found in variant sizes.